Degrees of Love tells the story of Susan Sinclair, a Silicon Valley soccer mom whose life could best be described by nice. Nice husband, nice children, nice friends, nice car, yet she still can’t help but yearning for something more in life. Not only has the niceness been wearing her thin, but since she has been married, she has been unable to show and be her true self. So, when her new promotion introduces her to a handsome new boss that she struggles to resist, Susan must decide whether her own happiness is worth more than her family’s well-being. I really enjoyed this book, though I didn’t always think that way. When it first began, I found it to be boring an uneventful but I was quickly proven wrong. Perfectly timed jokes and romantic gestures littered this tale as the author expertly wrote a story of love and marital hardship. Despite this being Slabach’s first novel, it felt like she was an expert at her craft. One reason for this was the research the author had done. Making sure to make everything feel as real as possible, it was clear that the author put a lot of time and effort into each chapter. Examples of this were seen in the bits of Shakespeare that the characters quoted at each other along with the deep insight the author gave into the feelings of each character; which leads me to the next aspect of this book that I enjoyed: the characters. Slabach truly succeeded in writing in-depth and fully thought out characters. Throughout the book, I felt moved by Susan’s decisions and motivations as she struggled to find happiness and love. Each of Susan’s moves felt thought out and genuine as I constantly wondered what she would do this. Not only that, but Slabach made me feel invested in Susan and made me wish that I was there in the story to help her. At the same time, Slabach withheld no expense with crafting Susan’s boss, Reese, into a fully thought out character. I really respected her ability to do this as Slabach provided great character development for her full cast of characters, including those that might have seemed unimportant. Overall, I really enjoyed this book. Throughout its twists and turns that constantly leave you questioning whose side you are really on, Slabach painted a realistic and fully picture of the pains of modern day women. Even with the setting of a plain corporate job, Slabach still found a way to make every word one that you would not want to miss. I recommend this book to romance lovers looking for a new take on the genre as this is a book that you do not want to miss. 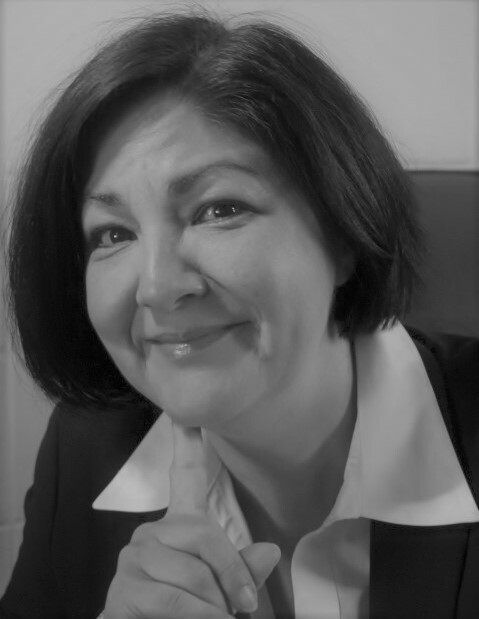 Last but not at all least, here is the interview with Lisa Slabach herself! 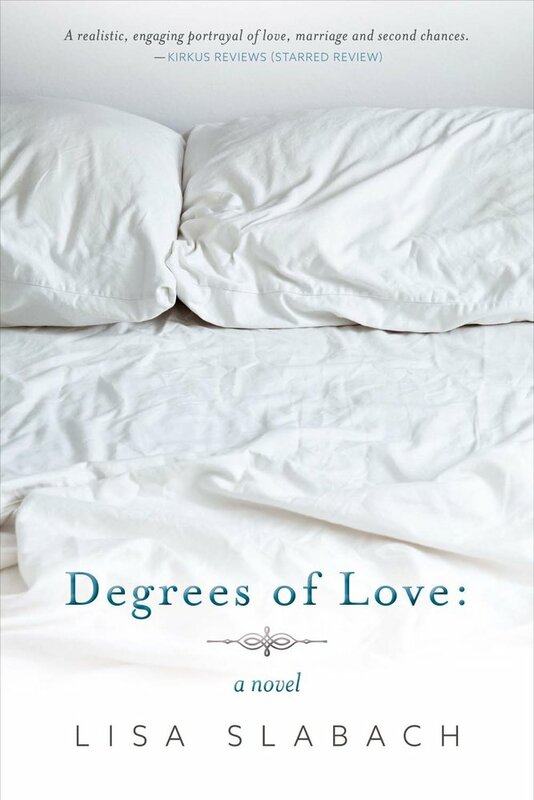 Degrees of Love: A Novel is about a modern, working mother who early in her marriage gave up an acting career and bottled up aspects of her personality in exchange for peaceful co-existence with her husband. Now, after years of the mindless motions of life, the habits of living as a wife and mother, her new boss taps into the side of her nature that is hungry for attention. I think of it as an exploration of love, which includes love of family and self as well as variations of desire. I started writing fiction in 2008. Prior to that, I did quite a bit of business writing, and when I was involved in theater, I wrote study guides, program descriptions, and the like. Writing fiction is quite different, but in many ways, writing fiction feels more natural. That isn’t to say I haven’t put in a ton of hours, worked hard to hone my skills, or grinded over word choices, because I have done all those things. There are many books out there about infidelity. What makes yours different? Yes, there are and I make reference to several in Degrees of Love. One of the key differences is the strength of Susan Sinclair. She is a successful, accomplished women and is the major breadwinner of her family. In no way is she inferior to Matt, her husband, and in most ways, the equal of Reese, her boss. Neither of the men can wield financial power over her. Another difference is that Susan is not disdainful of Matt. He can anger, hurt, and frustrate her, but she does love him. The choices she makes are ultimately matters of the heart and stem from the desire to love and be loved in equal measure. Degrees of Love is a contemporary novel. What kind of research did you do if any? Well, I have been married for over thirty years, which has given me a wee bit of insight when it comes to married life! Seriously though, I gleaned ideas from several books about marriage, including John Gottman’s The Seven Principles for Making Marriage Work, and a great book about loneliness called Loneliness: Human Nature and the Need for Social Connection by John C. Cacioppo. Aside from that, I bushed up on my Shakespeare, reviewed passages in the Bible, and read a load of articles and personal testimonies on infidelity. Given the subject matter of Degrees of Love, have reader reactions surprised you in anyway? I definitely anticipated the story not being palatable for some readers and have been pleasantly surprised by how much sympathy readers have shown Susan. The most surprising reaction though has been by male readers. Men were not my target audience when I wrote the story, so it has been incredibly gratifying to have men reading and enjoying the book too. I hope that you enjoyed this review! I really enjoyed reading this book so let me know if you picked it up as well! If you enjoyed this special post, comment down below and let me know!